Oil, silica, and dye on silkscreen. Oil, silica, acrylic and dye on silkscreen. Oil, silica, acrylic and dye on canvas. 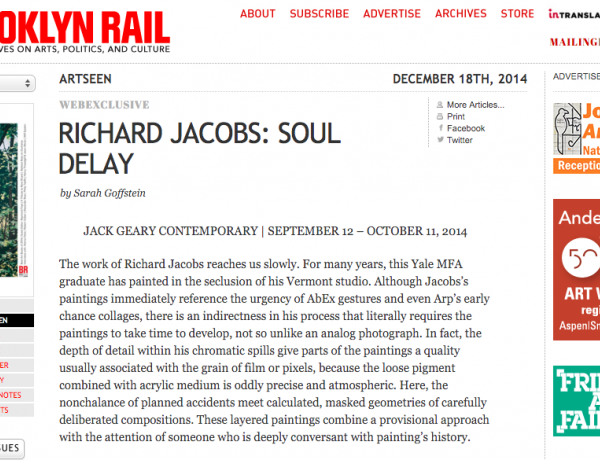 Richard Jacobs, a Cooper Union and Yale University MFA graduate, was a Henry Luce Scholar in Bali in 1987. 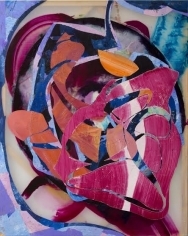 His work is represented in private and public collections that include the Boston Museum of Fine Arts, the deCordova Museum, the Rose Art Museum, Fidelity Investments, and the Hall Collection. 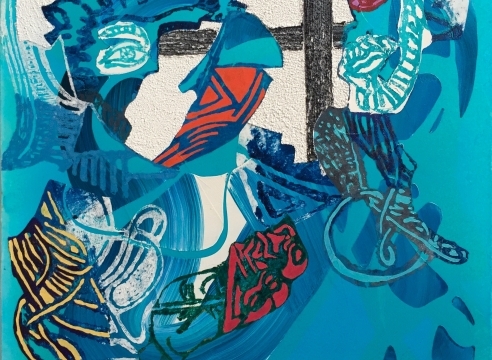 Jacobs' recent paintings follow a transition from abstraction toward an exploration of figuration and portraiture, where he combines woodcut transfers to create a conglomerate of vibrant shapes and features that equivocate spatially. 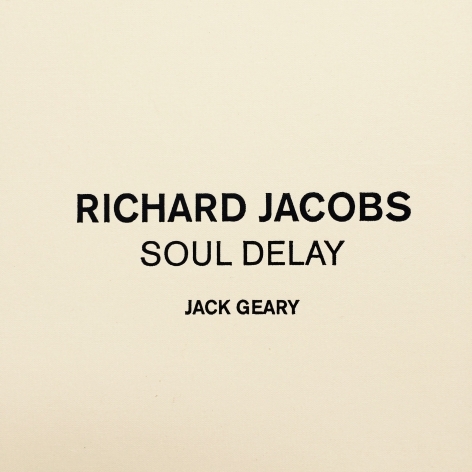 He presented a solo show "Soul Delay" at Geary in 2014 and has an upcoming solo show at the gallery opening in May 2017. Jacobs lives and works in Putney, Vermont.